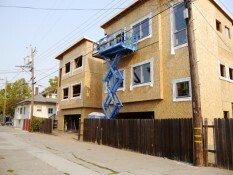 The windows are installed in the two Solons Alley homes currently under construction. 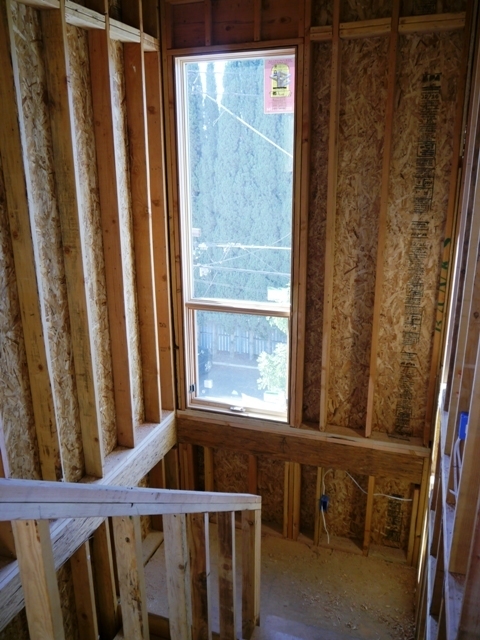 Here are a few photos of the windows going in and interior views from the second and third stories. 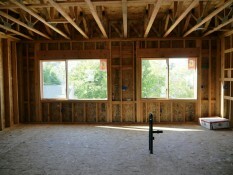 We like to write about windows on this blog because windows are a key element in our designs. They bring in sun and light and create atmosphere while protecting from heat, noise and rain. For those wondering about heat loss through the windows in the winter and heat gain in Sacramento’s intense summers, fret not. 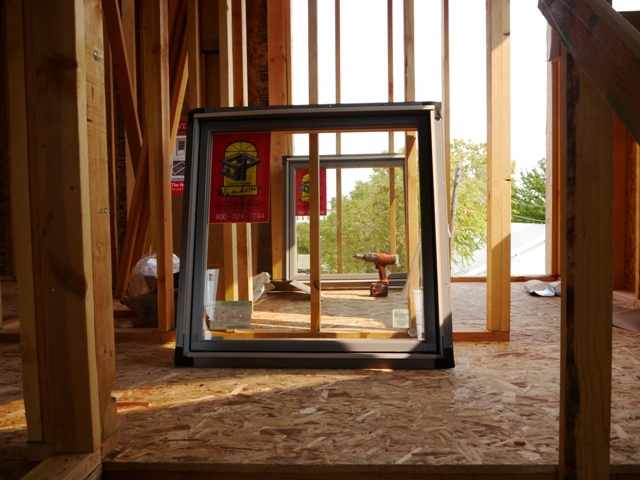 Modern windows are made to meet energy performance standards, and Solons Alley windows are insulated glass with U-Factors between .32 and .34. U-Factor describes a window’s resistance to heat flow. Lower numbers are better. 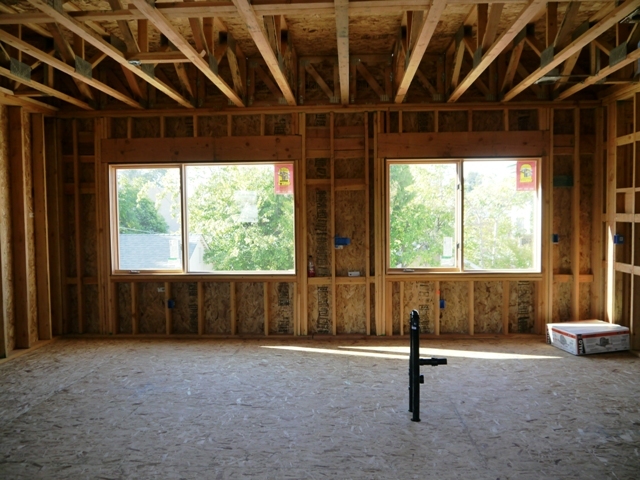 Another energy performance rating is Solar Heat Gain Coefficient (SHGC), which describes the amount of solar gain transmitted through a window. Solons Alley window SHGC is between .28 and .33, depending on the window. SHGC ranges from zero to one. 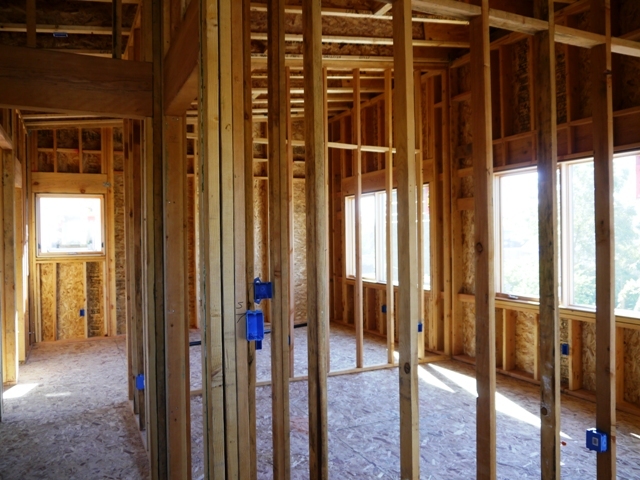 Zero means that no solar gain is allowed, and one means that all of the sun’s heat can come through.